You’d be hard-pressed to find a more polarizing upstart of a band than Foxygen. Tagged with so much promise following the release of their 2012 debut, Take the Kids Off Broadway, the duo of Sam France and Jonathan Rado teamed up with Richard Swift for a brilliant follow-up with 2013’s We Are the 21st Century Ambassadors of Peace & Magic. It was only after the pair found a small modicum of underground buzz that they were forced to put a band together and play shows, and the results were a spectacle at best, and terrible on the other end. So it’s with a grain of salt that the duo’s new partnership with Star Power, a sort-of-fictional LA rock ensemble, was to be taken for the group’s proper third album ...And Star Power. As it turns out, the record is indulgent, unhinged, sprawling, funny and sometimes spookily great?all adjectives most observers ought not to be so surprised about. Foxygen’s albums are definitely growers. Much like the palatability required for the labored pace of a lot of the lazy rhythms that drive jangly lo-fi/pot-haze numbers like “I Don’t Have Anything/The Gate,” your patience is required to become fully illumined within their spell. And lots of people don’t like being patient. Ergo, you’ll meet just as many folks who would decry Foxygen as a knockoff Velvet Underground than you would adoring fans willing to dispense every ounce of their idol-worship into the still-young France-Rado mythos. “Cold Winter/Freedom” is essentially a spastic rip-off of the clanky piano meltdown of the Velvet’s “The Gift.” “Can’t Contextualize My Mind” is a muffled, slow-burner in the vein of a Tarantino soundtrack sampler, bulging with off-rhythm acoustic strumming and vintage aesthetics one minute, then ripping into aimless instrumental rock ‘n’ roll platitudes the next. It’s the aural equivalent to unearthing your parents’ Flower Power wardrobe and dancing around the room with it, snapping photos with pre-fab filters for Instagram in a kind of retro nod to hip disassociation. Any modernity found is heavily guarded and usually found only in the distant blips and sound samples of France’s free-associative diatribes, or slip-ups in Rado’s production techniques, which oftentimes sound as if they’re centered in the deep acoustics of some secret restroom. Neither of these observations is a bad thing. On “Star Power III: What Are We Good For,” guest sermonizer Kevin Barnes (Of Montreal) puts on his best Lou Reed impression (sample pronunciation: “I wrote L.I.T.P.ey-aM. on my hay-and with your eennk pay-en”), similar to France’s past imitations?for laughs or in homage is debatable?of the likes of Mick Jagger, Jim Morrison and Iggy Pop. France is a vocal chameleon of the highest caliber, perhaps instigating Barnes’ nonsensical rant, and both artists tend to open the doors of the past with pastiches of colorful flattery while rattling non sequitur. The fact that France indulges in this practice more often has made him something of a newfangled drug-youth rock ‘n’ roll star, but Foxygen’s inherent humor is never too far away. It’s as if the pair are simply out to prove they can emulate their heroes. Some would argue they are beginning to embody them. Throughout the entirety of ...And Star Power, the omnipresence of tape hiss permeates the recordings, offering a very stark contrast to the lush, layered and more focused We Are the 21st Century Ambassadors of Peace & Magic. At 82 minutes, the LP is impossibly long for how aimless it is, entertaining an air of juvenile experimentation not dissimilar to their raving-mad ruminations on the excellent Take the Kids Off Broadway. In fact, ...And Star Power is essentially a return to the grimey, DIY spirit of that first record, buffing the sheen away to expose some rusty, bumbling core. Songs are allowed to fall apart, tones are empowered to free themselves of any continuity song-to-song, revealing vignettes of sometimes profoundly earnest song tidbits, and sometimes simply random rummagings of sounds. The driving pulse of “Talk,” very near the end of this 24-track album, is about as primed an example of the band’s formidability, encroaching on psychedelic swells of jittery sonic explosions like protons fidgeting in an atomic bounce house. 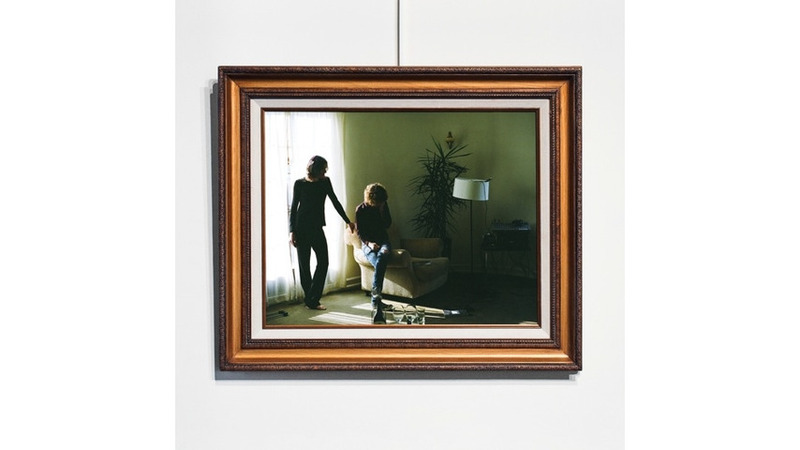 Whether imitation is truly the sincerest form of flattery?and other cliches?as it pertains to this third album in the Foxygen catalog is up for debate. If it’s some secret genius, the jury is still decidedly out. Either way, you’ll want to hear this one for yourself.